Pamper your puppy with this homemade chicken and rice meal. Soon tails will be wagging all. Photo of Lucky and Rippy's Favorite Dog Food by LUVSNOW17. 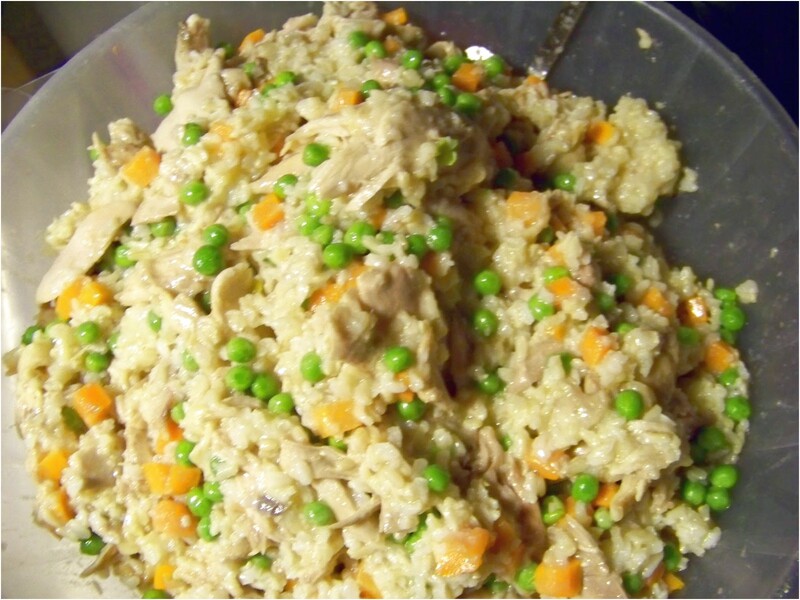 Dog Food Recipes: Easy Crockpot Chicken & Brown Rice. Base. 1 cup brown rice. 2 cups water. Vegetables. 1/2 lb. green beans, broken into segments. Protein. 2 boneless chicken breasts (with or without skin) or 4 to 6 boneless, skinless chicken thighs. Directions. Put all ingredients into the crockpot in the order given.